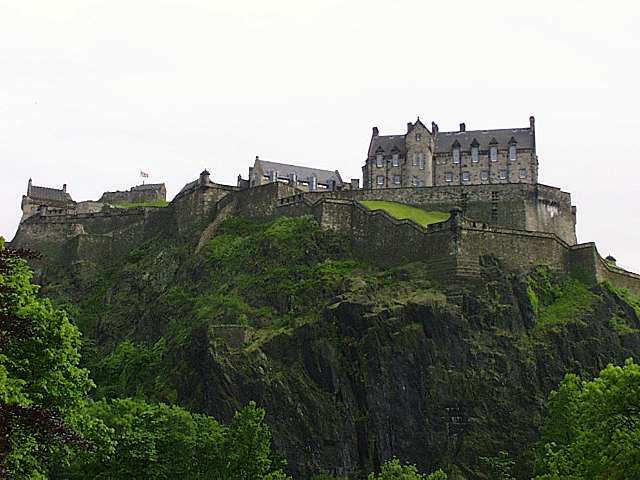 My first visit to Scotland was a whim; I decided to take a week off before starting a seminar tour through Denmark and wanted to go somewhere new. I settled on Dublin and either Edinburgh or Glasgow. Everyone told me to go to Edinburgh. 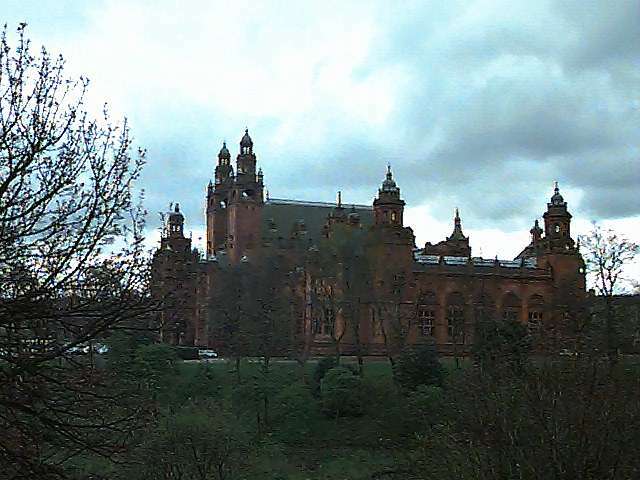 So off I went to Glasgow. (Contrary? Me?) I did finally get to Edinburgh two years later, which makes me wonder; am I the only person on the planet who likes Glasgow better? The college I attended has a long if not terribly significant history. (Although founded in 1829, RIT's degree programs weren't accredited until some time in the 1960s.) And the campus has no history at all, having been newly constructed on 1300 acres of swamp just a couple of years before I arrived. 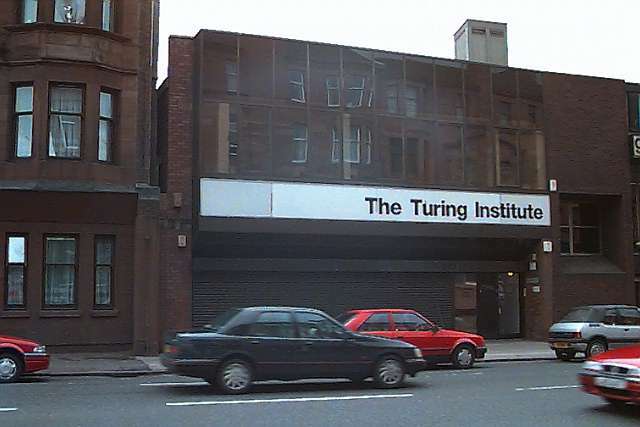 Which leads me to wonder what it must be like for students at a prestigious pile like Glasgow University; to wander through halls that once saw Alan Turing, mathematician and inventor of the Turing Machine and the Turing Test and founder of the Turing Institute. 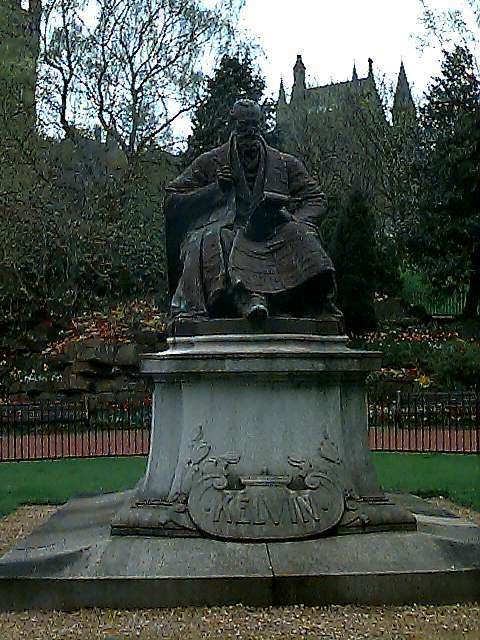 Or Lord Kelvin, physicist and inventor of the kind of extreme cold that RIT students know so well. What was it like before the Kelvin scale, when -40 seemed cold? Somehow it doesn't seem right to shiver when the thermometer reads a balmy 233 degrees. This falls under the heading of "Don't judge a book by its cover". I walked by the front of this building a couple of times without particularly noticing it. Then I walked down the street behind it and noticed the smiling fellow on the right. 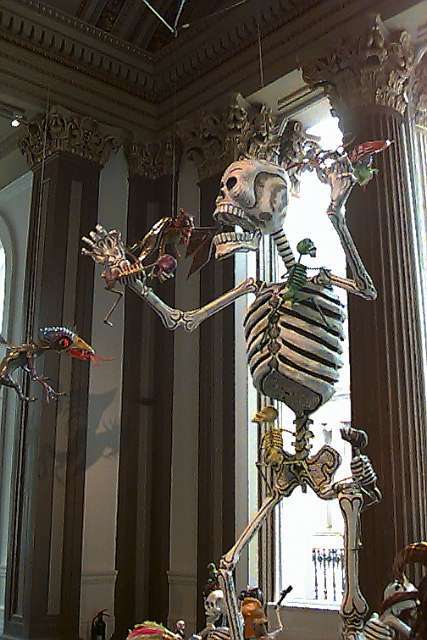 What I had discovered was Glasgow's brand new Gallery of Modern Art, a place filled with bright colors, sound and motion. (You mean there's a kind of multimedia that doesn't involve a computer screen?) The gallery is a classic example of reusing an old structure for a new purpose and making it work. It's also a lot of fun, and far less stuffy than San Francisco's proud new addition. An Edinburgh tradition involves firing off a cannon every day at one PM. (Economics; if they did it at noon they'd have to use so many more cartridges!) 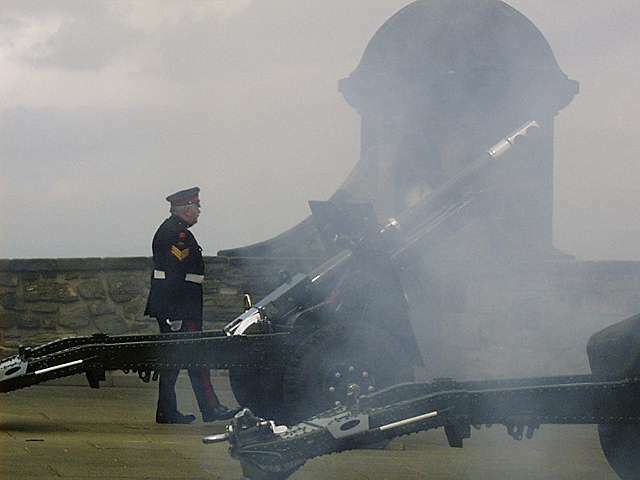 They use a modern howitzer, rather than the more picturesque cannon provided by Queen Victoria. Those guns have never been fired; something about the combination of a front-loading gun and a thirty foot drop seems to have discouraged their use. 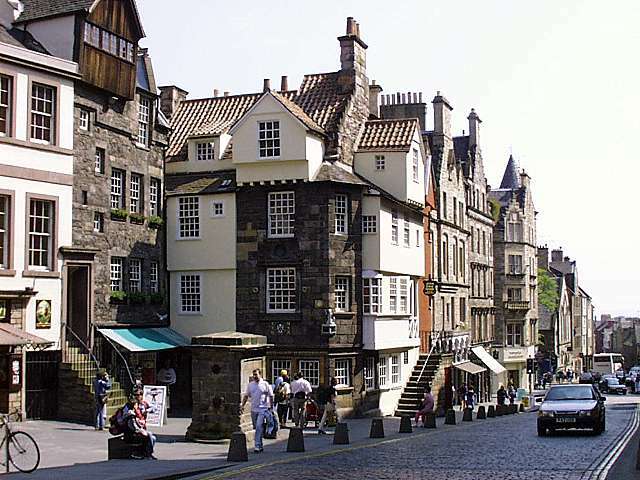 The Royal Mile extends downhill from the entrance to the castle. It's full of tourist destinations like the Scotch Whisky Heritage Center (I guess only Americans and Irish know the correct spelling of whiskey), the Camera Obscura (a pinhole camera that gives you a view over the city and which must have amazed them back in the 19th century) and more kilt and curio shops than you'd believe. This is the Old Town, much of which dates back three or four centuries. 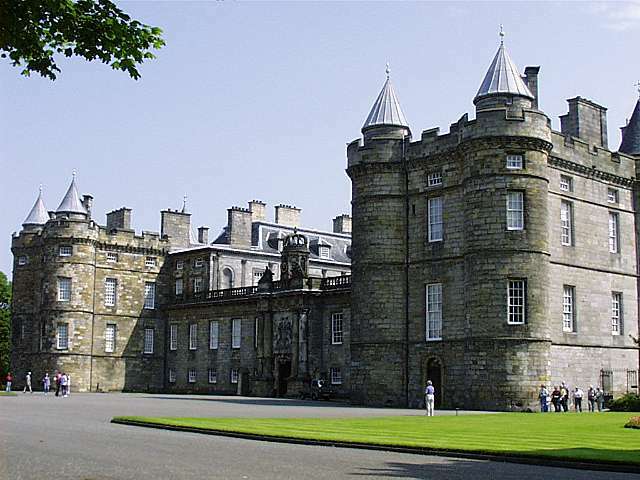 At the far end of the Royal Mile is Holyrood Palace, the Queen's local residence, which started out as an abbey in the 12th century before being turned to more secular purposes. 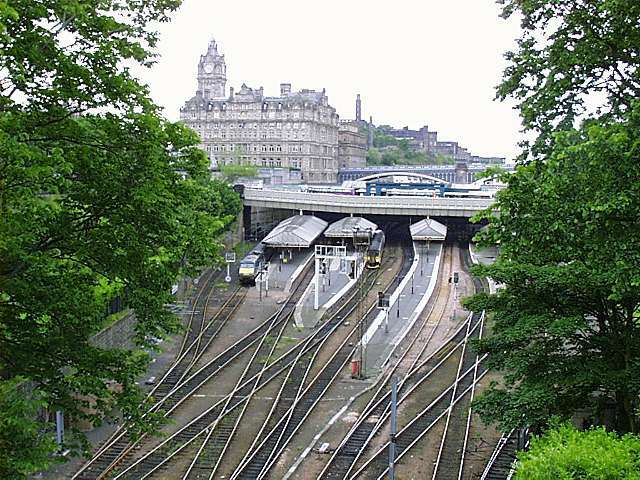 One surprise I had walking around Edinburgh was to see so many bridges and hills without once finding a river. I'm told that there used to be a loch at the foot of the castle that separated Old Town from the 19th century New Town, although the water was diverted long ago. Now the former lake is home to a rather nice park and the hiding place of the main train station and a modern shopping mall. Maybe that's why I liked Glasgow and Dublin better; their riverbeds had rivers in them. I just knew there had to be water around here somewhere. 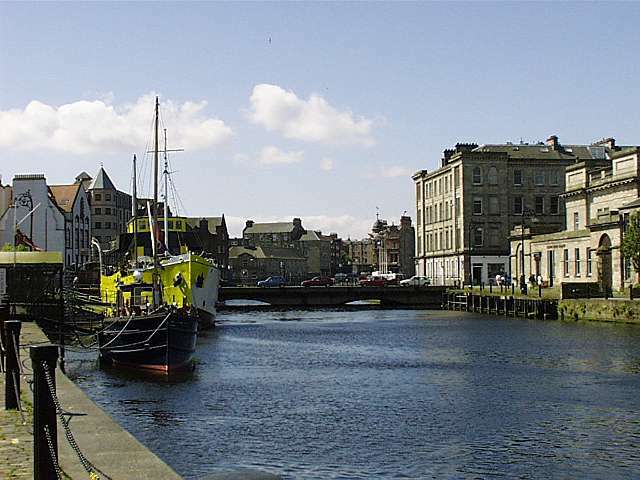 According to the map it was only a couple of miles from the east side of town to Leith, a seaport on the Firth of Forth. (Don't you love that name?) 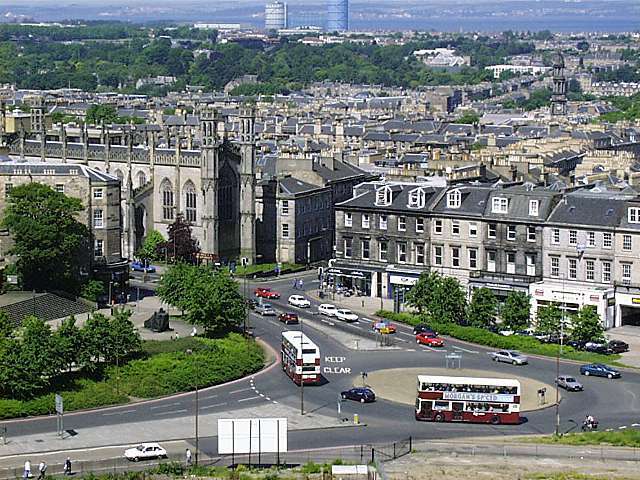 I stopped along the way at Calton Hill to capture this shot of New Town. 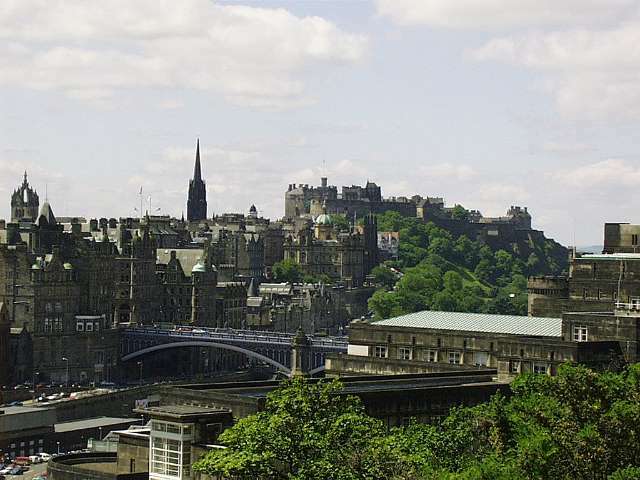 Calton Hill is home to the National Monument to those lost in the Napoleonic Wars. It was supposed to be a duplicate of the Parthenon. 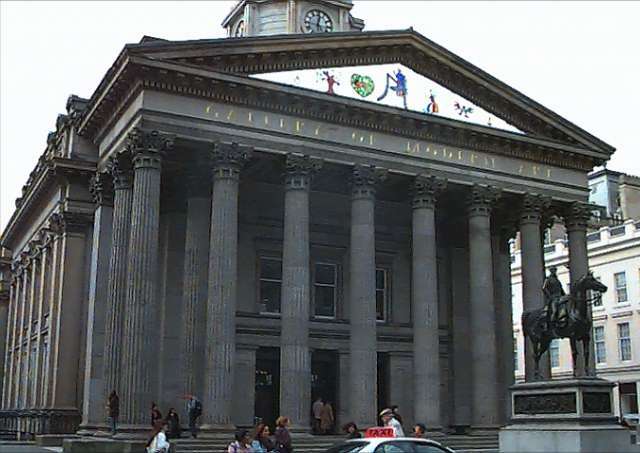 Money ran out after twelve of the forty-two pillars were completed, leading to its local name: Scotland's Disgrace. I did finally make it all the way to Leith, a quiet place on a Sunday. But at least I did see some water! 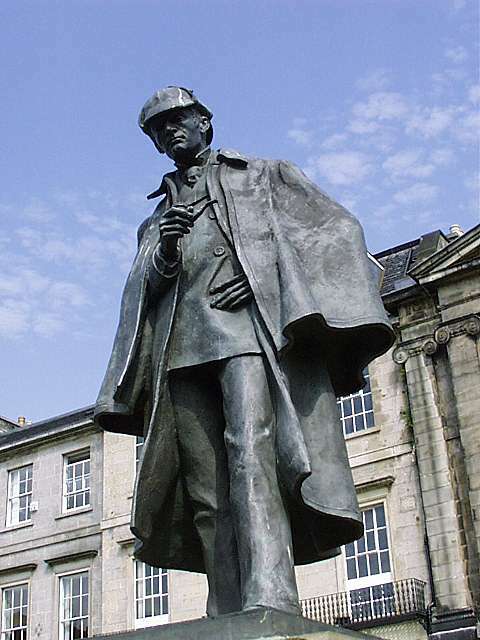 This statue of Sherlock Holmes marks the birthplace of Sir Arthur Conan Doyle, which used to reside where the traffic circle stands in the picture above. Fittingly, there's a Conan Doyle pub on an adjacent corner. The city is proud of its own; there's a plaque marking the childhood home of Robert Louis Stevenson on Heriot Row. But why no statue of his most famous creations, Dr. Jekyll and Mr. Hyde? Or even of the real life Edinburgh murderer who inspired the tale? I guess the city is prouder of some citizens than of others. Sometimes my irony radar just goes a little crazy. Here's an example I found in a tourist shop on the Royal Mile. It's a computer font based on the designs of Charles Rennie Mackintosh, Glasgow's answer to Frank Lloyd Wright. (No disrespect intended by the comparison; I spent several pleasant hours admiring Mackintosh's work in various museums in Glasgow.) 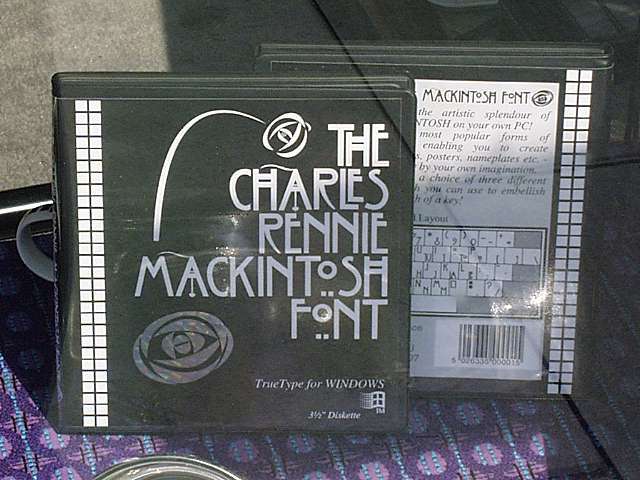 But does anyone else find it odd or upsetting that the shop only carries the Windows version of a Mackintosh font? Is there no justice in the universe?